U.S. envoy praised IDF for rescue operation of hundreds of members of the White Helmets in Syria. Jason Greenblatt, U.S. President Donald Trump’s Special Representative for International Negotiations, on Sunday night praised the IDF for the rescue operation of hundreds of members of the White Helmets in Syria. “Following a request from President Donald Trump and other allied leaders, last night Israel conducted a daring humanitarian rescue from Syria of hundreds of ‘White Helmets’ personnel and their families and transferred them safely to Jordan,” tweeted Greenblatt. “The Israel Defense Forces deserve special commendation for this - they managed to pull this operation together quickly and were focused on saving as many people as possible. Thank you as well to the Government of Jordan for their efforts,” he continued. 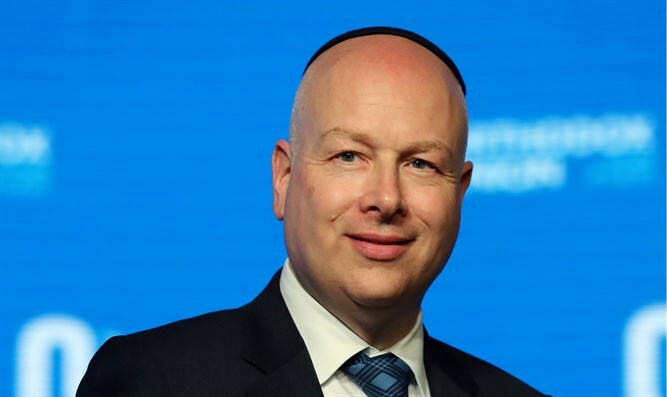 Greenblatt also thanked the State Department, the National Security Council, the U.S. Embassy in Israel and the U.S. Ambassador to Israel, David Friedman, for their assistance in the rescue operation. Over the weekend, the German newspaper Bild reported that Israel had helped evacuate 800 members of the White Helmets, from southwest Syria.